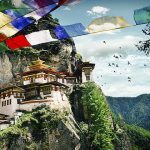 Separating to the outside world, Bhutan has cultivated its culture rich in traditions, religion, and a benevolent monarchy. 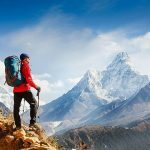 With the stunning landscapes ranging from snow-capped peaks, deeply forested slopes to boulder-strewn rivers, all these things will be explored by this 8-day trip as it will take you into the ancient King om for an adventure into the heartland of beautiful farmers, fascinating weavers, enchanting monks, and charismatic leaders. Witness the beautiful Paro Valley, the Himalaya, and the green terraced field below while sitting on a comfortable seat. After completing all procedures, our representative will be waiting for you to warmly welcome and pick you up to your hotel. 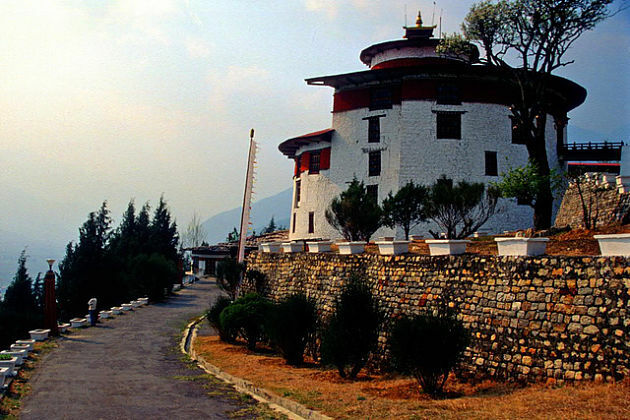 Once settling in the hotel, your Amankora tour in Bhutan will begin as you have several choices of the National Memorial Chorten, National Textile Museum, Folk Heritage Museum, National Library to visit. You can even feel relaxed by simply strolling around Main Street for some interesting Himalayan artifacts or textiles. Getting up early and witnessing the beautiful sunrise (optional). Having breakfast, then head to the north end of Thimphu Valley where you will visit Trashi Chhoe Dzong, the seat of Bhutanese government and Royal offices. After that, go to Pangri Zampa to witness the two 16th century buildings which now is home to a monastic training school for astrologers. During your time on the valley, if you want to stretch your legs, just simply take a short hike that will take you to Cheri Goemba where the first monastic body was established in the country. Later, you visit a few of the capital’s cottage industries ranging from traditional paper making to hand-rolled incense. 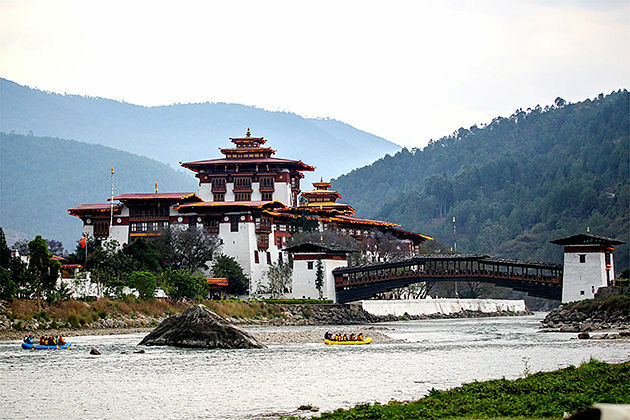 Begin your third day in Bhutan with a dramatic drive over the dochula pass and head to the Punakha Valley. 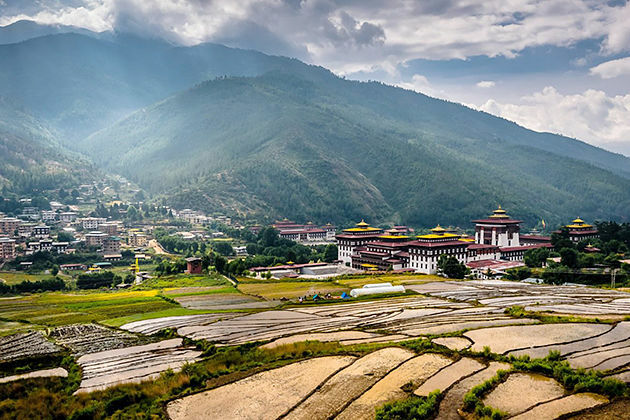 On reaching the valley, you definitely see Simtokha Dzong, one of the first fortress monasteries in Bhutan which was built in the 17th century, as well as Hongtsho Goemba monastery where contains ancient wall paintings. Then, the journey continues over the 3050 m mountain pass where the Himalayan peaks can be clearly seen. 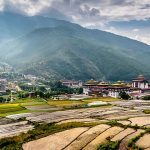 Make your way down thru the Punakha Valley will loop you through the Wangdi Valley where you will visit the rustic Wangdiphodrang Dzong and the local town nearby. 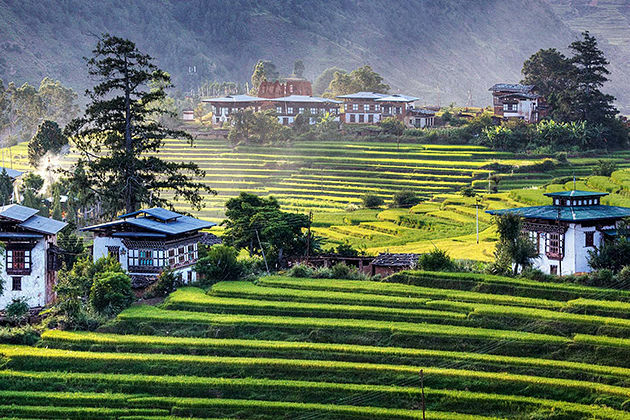 You will have some time to stroll around this small village and discover its row of intimate shops before going back to Punakha Valley. 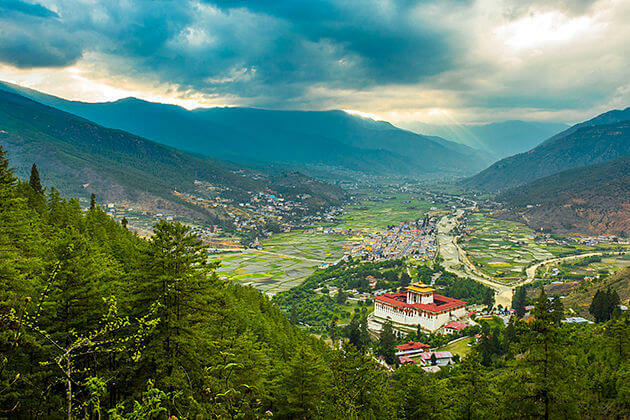 Later, in the afternoon, you can opt to visit the village of Talo, home to the Queen’s and the valley’s protective deity Lhakhang, and enjoy a hike to an ancient monastery on the hilltop behind the lodge. 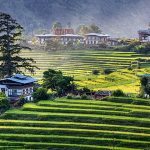 Begin your fourth day with a hike up to the chilly, cabbages, and rice fields along the banks of the Mo Chhu to the upper end of the valley where you can see Khamsum Yulley Nam gal Monastery. 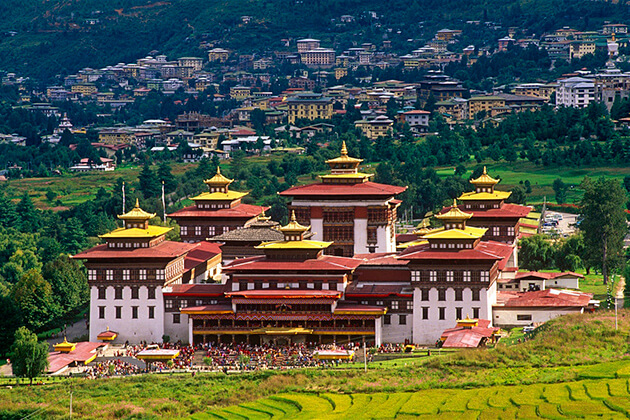 Make your way down thru the valley and spend time in the impressive Punakha Dzong, the most beautiful Dzong in Bhutan. Having a picnic lunch as it will be served on the banks of the Punakha Chhu. After that, a driver will take to to the village of Talo. Keep your camera activating as you should not miss taking some photos in such a beautiful area. Goodbye Punakha, you then make the way down from dochula pass, follow the way back to the Wang Chu and Paro Chu river before passing through Paro Town towards the north end of the valley. Once there, in a pine forest, you finally find the Amankora lodge and its spa. 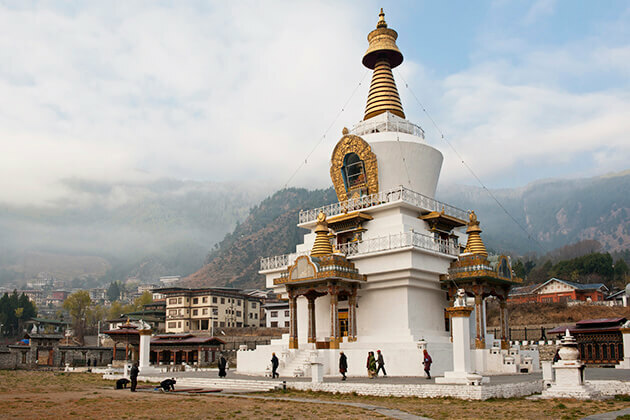 In the evening, let visit several ruins nearby, some of the valleys oldest and most sacred religious monuments or a ramble down Paro’s Main Street. 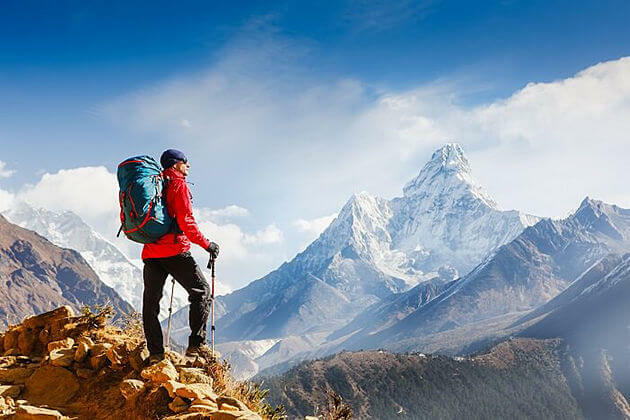 Later, in the evening, you may enjoy the informative lectures on the history, religion, fauna & flora of the area or an intriguing movie on the Himalayas. 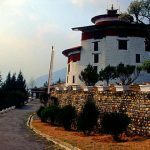 Your sixth day will start with a visit to the National Museum in the Ta Dzong (watchtower) where converges a collection of artifacts providing a wonderful introduction to the rich culture and heritage of the land of Thunder Dragon. 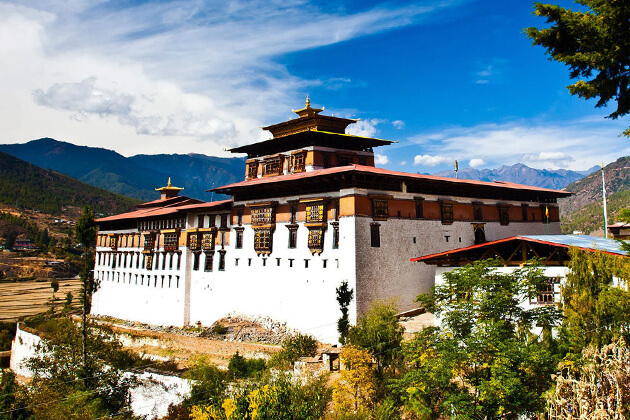 Then, make your way downhill to Paro Dzong where you can admire a good example of Bhutanese architecture. Your journey will continue with Nyamai Zampa, a traditional cantilever bridge and drive to the town temple, built in 1525, to marvel at ancient wall paintings. When the lunchtime is nearly coming, you have options to have a picturesque picnic spot or enjoy lunch with the family at a traditional farmhouse. 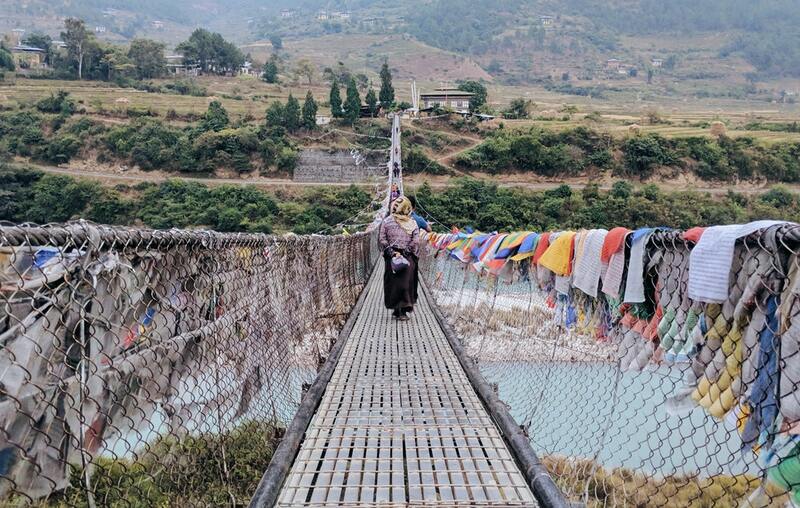 • For those who want further insight into the culture and religion, there will be a visit to the Kyichu Lhakhang, Dumtse Lhakhang, and the Drukgyel Dzong. 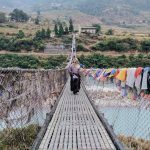 • For those who are hikers, a beautiful trail will be waiting to welcome you and lead you to walk along Paro Chhu, then across a suspension bridge and up thru terraced farmland and forests before looping you back down the river to a second bridge and across the river to return to the lodge. 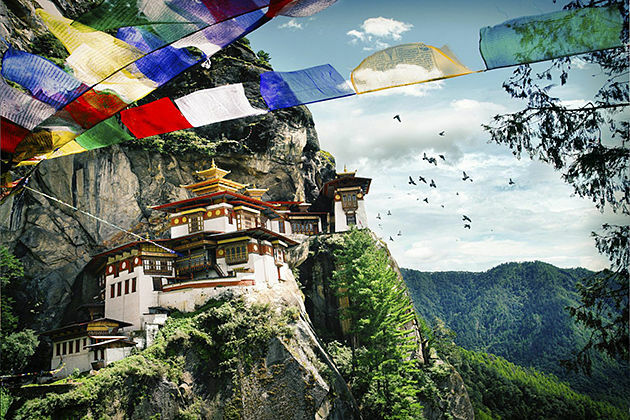 Today, you will enjoy a hike up to the Taktshang Goemba (Tiger’s Nest), one of Bhutan’s most revered monuments. On reaching the monuments, you absolutely have an opportunity to witness the specular views of this holy site. Later, to refresh yourself, you can enjoy the spa around the lodge. If you still have enough energy, let take another hike into the rich forests rising up behind the lodge. Time to say goodbye Bhutan. Enjoy your last moments with breakfast at a cafeteria, then stroll around the town or do some shopping. Before 2 hours when the airplane takes off, our representative will meet you at your hotel and pick you up to the international airport. The trip ends, hope we can serve you next time in Bhutan.